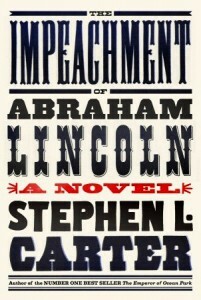 I recently read Stephen L. Carter‘s novel The Impeachment of Abraham Lincoln. 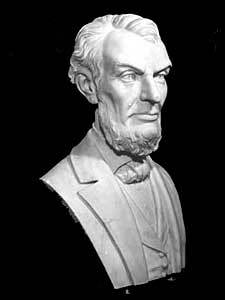 I boldface novel so not to confuse the book with other Lincoln titles, usually non-fiction. 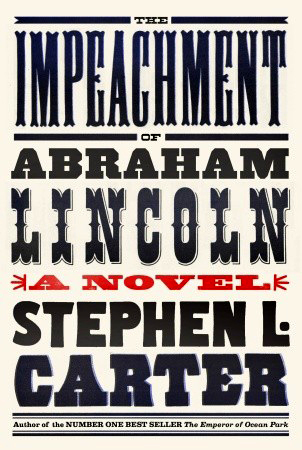 In Carter’s novel, Lincoln lives after the play, and is still President. 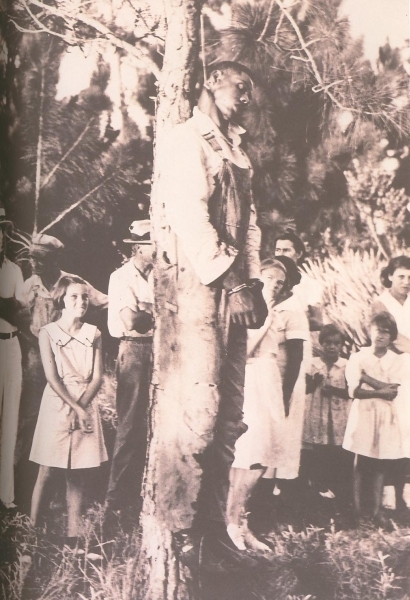 But he’s on the hot seat with Congress for going “too far” with the South, “too hard” on the rich folks, and “not far enough” for the radicals. At the center of this argument is a young aspiring Oberlin College graduate named Abigail Canner. Abigail was born a free black woman, she’s smart, determined, and through her Oberlin connections has a job with the law firm for the President’s defense team. Everyone seems to want to know Abigail. Saturday, June 29 at 2:30 PM I moderate the discussion around the 1867 world of Abigail Canner at the Historical Society of Washington, DC (801 K Street, NW, Washington, DC 20001). [Download the flyer or RSVP for the free event on Eventbrite.] Our speakers and Carter are blurring the lines between fact and fiction. The thematic discussion of the book will go deep around Abigail, her world, her dreams even what she and her colleagues and neighbors would eat. Carter doesn’t give too many details, but we’ll fill the plate. One of my favorite culinary historians, Michael W. Twitty will join me to talk about foodways before, during and after the Civil War. You can read Michael’s open letter to Paula Deen on his Afroculinaria website — check out all the other good stuff in his web library too including a recipe for blueberry barbeque sauce. Michael and I take our southern food seriously. But my principal assignment is to explore Abigail’s alma mater, Oberlin College, founded in 1833 in the western wilderness of Ohio. 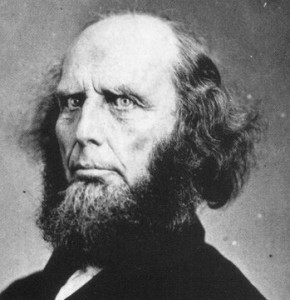 Oberlin was estblished by northern missionaries and grew when the “father of Revivalism” Charles Grandison Finney came on the scene. Finney was also a staunch abolitionist (radical?). With Finney established, students and financial support soon followed. In the novel, Finney provides the important letter of reference and recommendation for Abigail to clerk at the Dennard and McShane law firm in downtown Washington. Before HBCUs and Seven Sisters, the Oberlin Collegiate Institute that became Oberlin College, was the go-to college for all women and persons regardless of color for a complete Bachelor’s degree course, a “Literary Course” (for women minus Greek, Latin, and advanced mathematics), Theological studies, and eventually the Convervatory of Music (founded in 1865). Abigail was recruited to attend Oberlin by the first African American college graduate and fellow Obie George B. Vashon who makes an appearance in flashback in The Impeachment of Abraham Lincoln. 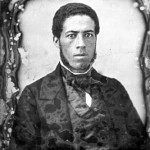 Vashon was among the first graduates of the college in 1838. He would return to earn a MA in 1849. Vashion was a first in law as well — the first African American to practice law in New York state. Mary Jane Patterson who graduated with a B.A. in 1862 was also the first black woman in the world to earn a Bachelor’s degree from a collegiate institute. Patterson would go to Washington to teach at the Preparatory High School for Negroes (later M Street High School, and then Dunbar High School). 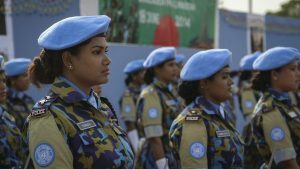 She would become its first woman principal. 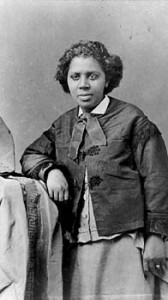 Mary Edmonia Lewis enrolled in 1859 at the recommendation of her brother. She didn’t complete her studies for the Literary course. Things got a little out of hand when she was accused of poisoning two white students/friends. This was known as the “Spiced Wine Scandal.” Part Chippewa Indian and African American, Edmonia was somewhat exotic in the Ohio town, never hiding her heritages. But just before her friends were leaving to enjoy a sleigh ride with their fellas, Edmonia invited the girls up for spiced wine. It’s been said that the wine was spiked with Spanish Fly which made the girls violently ill. The incident nearly split the abolitionist town in half. 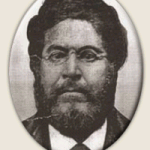 Edmonia was dragged out from Mr. Keep’s house and beaten. 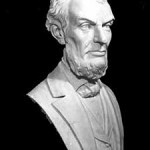 John Mercer Langston, a prominent Oberlin resident and graduate from the Oberlin College and School of Theology, came to Edmonia’s rescue in court and won for her. John Mercer Langston, also of Native American/Black heritages, would later become the first dean of the Howard University’s law school and elected to Congress in 1888, the first U.S. Representative of color from the state of Virginia. Even with her court victory, Edmonia couldn’t stay in Oberlin and left the campus in 1862 for Boston. Edmonia was also an artist. She started sculpting and sold small plaster souvenir busts of abolitionist William Lloyd Garrison, Colonel Robert Gould Shaw, and created busts of Abraham Lincoln and John Brown. With these earnings and the help of patrons, Edmonia booked a passage to Rome, Italy to continue sculpting and was part of a group of expatriot women sculptures known as the Marmorean Flock. Whether Abigail Canner heard gossip around Edmonia’s story, warnings or passed the future sculptor as she was leaving town, is left to our imaginations. 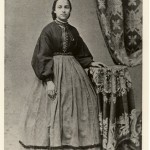 Fanny Jackson Coppin would’ve been Abigail’s classmate; both graduating around or at the same time in 1865. Fanny was born a slave in Washington, DC. Her aunt purchased her 12-year-old niece’s freedom for $125. Fanny worked as a domestic, hired a tutor, attended public school. She enrolled in Oberlin’s Literary course followed by the collegiate course and earned her BA in 1865. There’s no mention of Fanny in the novel. But maybe Fanny had no time for Abigail. While a student, she started an evening school for freed persons. 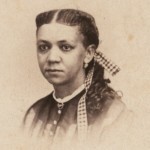 After graduation, Fanny Jackson became principal of the girls’ high school at the Institute for Colored Youth in Philadelphia. She opened the only trade school for African Americans in that city. Abigail would meet her fiance at Oberlin. Fanny was 44 when she married AME minister Reverend Levi Jenkins Coppin. Fanny also established homes for working and poor women and was a fighter in defending the rights of women and African Americans (source: Oberlin College). Coppin State University, in Baltimore, is named for Fanny Jackson Coppin. Abigail had loads of oppportunities to connect with fellow Obies when she returned to Washington, DC. But she had more pressing matters in the post-Civil War city known for corruption, intrigue, danger, and mud. The discussion at the Historial Society of Washington, DC is a program of DC By the Book, the DC Public Library’s website for mapping Washington, DC in fiction…or its gray areas, the color of Abigail Canner’s eyes. After enduring many years of house arrest for her pro-democracy resistance against Burma’s (now Myanmar) dictatorship, Aung San Suu Kyi, now a member of Myanmar’s Parliament, was free to receive her Nobel Peace Prize today in Oslo. 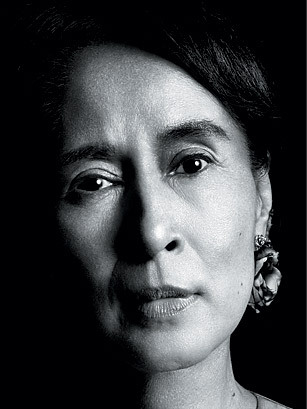 The prize was awarded to Aung San Suu Kyi in 1991. Full text of her Nobel lecture delivered today in Oslo is available at this link. A friend posted this poster on her Facebook timeline. In case you were wondering why there is a Memorial Day, which was originally “Decoration Day” to honor the dead of the U.S. Civil War, go to this Veterans Administration link.